During the ICC (International Chamber of Commerce) Banking Commission’s meeting Wei Kai described the obstacles in the greater adoption of Blockchain technology in the financial sector. He stated that despite the new technology’s potential to transform multiple industries, there were 3 major problems that it had not been able to solve – operability, data privacy and integration with enterprise systems. Binance Labs, the investment division of major cryptocurrency exchange Binance, has given out grants of $15,000 each to 3 different startups that are developing open-source Blockchain-based technologies. These three startups are Ironbelly, a mobile wallet service provider for the new Blockchain Grin/Mimblewimble, Kitsune Wallet, an on-chain wallet that can be upgraded, and HOPR, a messaging protocol that is privacy focused. These three new companies are the first fellows of Binance Labs’ Fellowship Program. According to the director of the division Flora Sun, for innovation to take place, a community of committed developers as well as entrepreneurs is required, who can image and create new products to bring to the market. According to the recent listings on the employment platform Greenhouse, the VR (virtual reality) startup Magic Leap is looking to employ Blockchain engineers as well as senior Blockchain architect. These roles are for the company’s Lifestream business division. In a recent interview, Magic Leap’s Chief Executive Officer Rony Abovitz had explained that Lifestream was all the data that a user experienced, the data of the world around a user as well as how it needed to be protected. He stated that protecting data was critical. Now, with the new job posting, the company is looking for experts who can work in this segment. 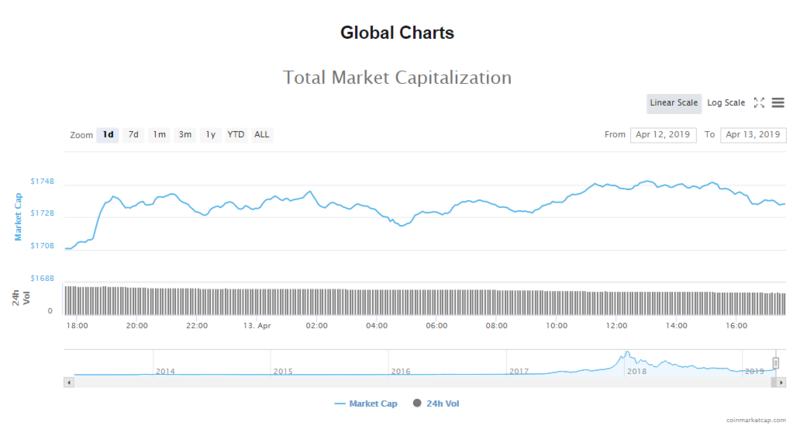 The valuation of the crypto market has inched up once more in the last one day and is now $172.89 billion. Trading volumes for the market are at $41.38 billion. 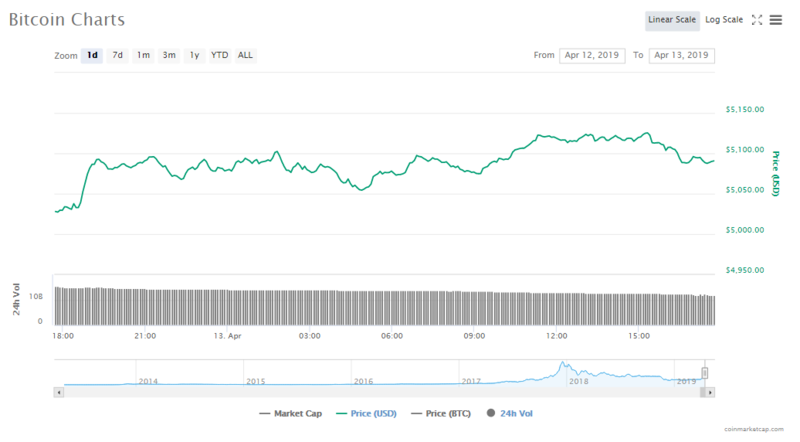 After two days of losses, the price of Bitcoin is once more trending upwards, with a 0.98% gain since yesterday. Its current price is now $5090.92. Capitalization for the digital currency is at $89.82 billion and volumes of trade are at $12.26 billion. ETH is up 0.75% to a price of $164.87. Trading volumes are at $5.50 billion and capitalization is $17.41 billion. BCH has jumped up the ladder with a 1.96% gain in its token price to once more become the fourth most valuable cryptocurrency in the word. However, the biggest gains in the last 24 hours have been for BNB, which has gained 4.88% in its token price in that time period. Bitcoin’s trading at $5090.92, gaining 0.98%. At the time of writing, its valuation is $89.82 billion. Ethereum’s trading at $164.87, gaining 0.75%. At the time of writing, its valuation is $17.41 billion. Ripple’s trading at $0.328866, gaining 1.10%. At the time of writing, its valuation is $13.74 billion. Bitcoin Cash’s trading at $276.70, gaining 1.96%. At the time of writing, its valuation is $4.90 billion. EOS’s trading at $5.37, gaining 0.89%. At the time of writing, its valuation is $4.866 billion. Litecoin’s trading at $79.33, gaining 1.47%. At the time of writing, its valuation is $4.864 billion. Binance Coin’s trading at $18.42, gaining 4.88%. At the time of writing, its valuation is $2.60 billion. Tether’s trading at $1.01, gaining 0.02%. At the time of writing, its valuation is $2.42 billion. Stellar’s trading at $0.115423, gaining 1.13%. At the time of writing, its valuation is $2.22 billion. 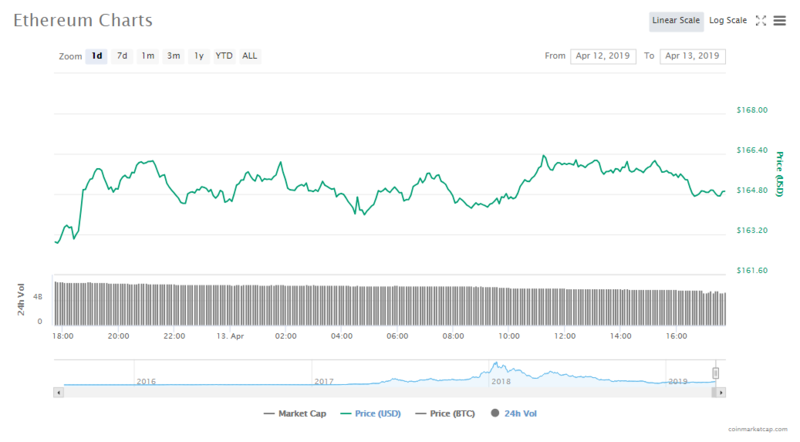 Cardano’s trading at $0.084726, gaining 2.57%. At the time of writing, its valuation is $2.19 billion. MoneroV is the new cryptocurrency that will emerge from the hard fork that Monero will go through once its block height reaches 1,564,965. And this is scheduled to happen today, April 30, 2018 – if all goes according to plan that is. The Mobility Open Blockchain Initiative (MOBI) and the Trusted IoT Alliance (TIoTA) jointly announced via a press release that they have launched a new tournament focused on Blockchain applications in autos. According to local news reports, the Chinese authorities have seized more than $1.5 million worth of cryptocurrencies during a crackdown on gambling on the FIFA World Cup 2018. The Philippines Securities and Exchange Commission (SEC) released a draft of regulations for ICOs (Initial Coin Offerings) and has asked the public to provide feedback on these proposed rules. In the regulator’s Memorandum Circular, the SEC has mandated that any company wanting to launch an ICO, or any ICO selling their tokens to Filipinos, will need to first submit an application called the Initial Assessment Request to the SEC. This will help the Commission decide whether that token is a security or not.